A lot of people these days are taking there children Trick-or-Treating at a local mall to keep them safe and indoors. 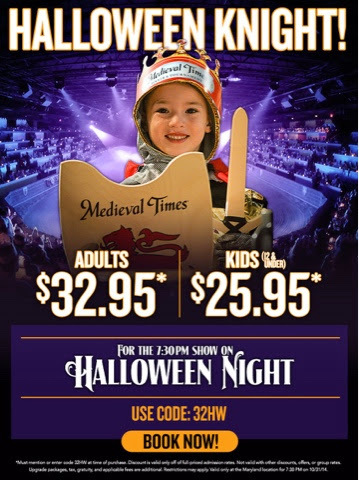 If you're planning on doing so this year - why not venture to Arundel Mills and finish the night off with dinner at the Medieval Times Castle! The Baltimore Castle has a handful of special offers currently going on, but you can't beat the special Halloween Knight pricing!